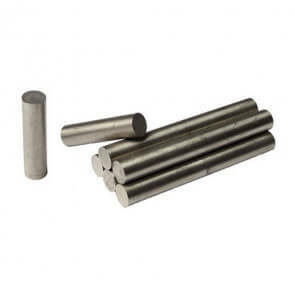 Magnets produced of the material Aluminium Nickel Cobalt (AlNiCo) are strong permanent magnets with an exceptionally high coercivity (resistance to loss of magnetism). 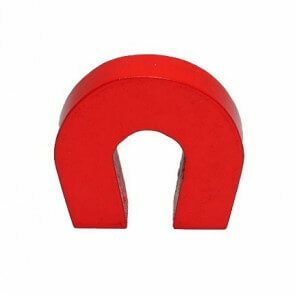 Only rare earth magnets such as neodymium and SmCo magnets are stronger than AlNiCo and they are most often used when the magnet needs to operate under very high temperatures. AlNiCo magnets can handle temperatures up to 450 degrees Celsius depeding on the exact type and they are commonly used for the production of very special tools and equipment. Thanks to the hardness of the AlNiCo material the magnets have become the solution to many problems for engineers in multiple companies. The magnetic force is characterized by being somewhat smaller than the force of neodymium magnets. However, it is still strong enough for a large variety of different applications.